Speedy Hornet is a strong and purposeful five spoke design available in three distinct finishes of Machined/Piano Black, Machined/Silver and full Satin Black. Speedy Hornet is a strong and purposeful five spoke design available in three distinct finishes of Machined/Piano Black, Machined/Silver and full Satin Black. The size range is 16 x 7.0, 17 x 7.5, 18 x 8.0. The machined finish surface of the top of the wheel spoke which runs to the edge of the rim, accentuates the diameter of the wheel, making all sizes appear larger than they actually are. 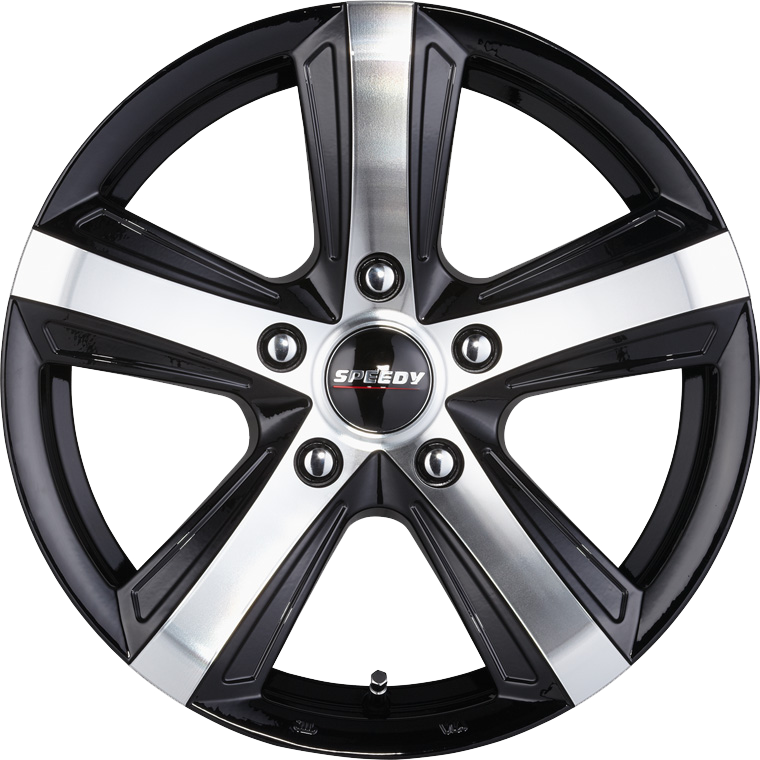 Wheel fitment is suitable for medium to large 5 lug FWD and RWD late model vehicles.